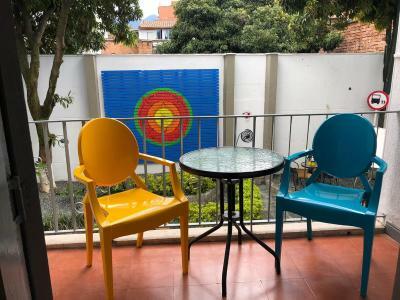 Lock in a great price for Backpackers Inn Medellín – rated 9.3 by recent guests! The Courtyard was beautiful. It would be better if smoking was not allowed. Security was good. Location excellent. Kitchen was well stocked. Staff was very friendly. The communal space was really lovely. 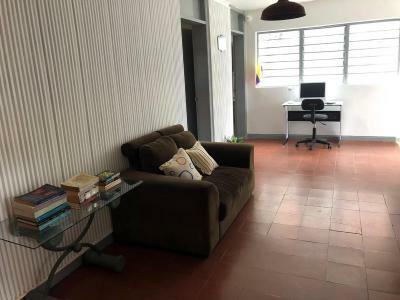 Lots of room to hang out and plenty of activities on offer. The staff were also great! Very friendly and helpful. It was a chilled out, quiet place which I really liked. I could relax in the hammock in the beautiful patio. I was also staying alone in the dorm so I had a lot of comfort. 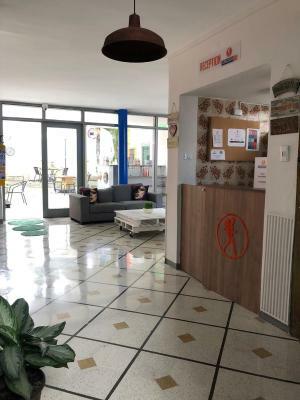 This hostel is perfect if you want to do the communa 13 tour, just 3 metro stops away. There is this amazingly delicious lunch place 3 min away called Saludpan. So yummy! Everything! What a great place to stay in! Staff is awesome, Andrea is super nice and everyone actually! 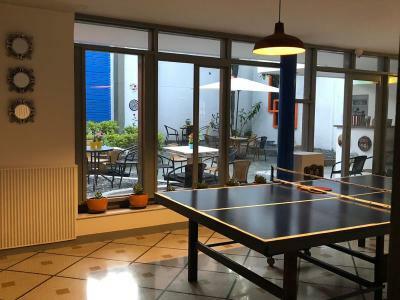 Is clean, has a pretty nice terrace and they have games and ping pong, free Netflix and Spotify and YouTube streaming. 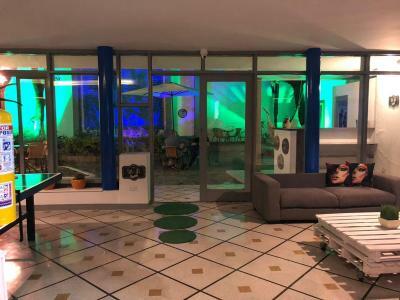 I was supposed to stay for a few time but ended being there for almost 3 weeks, feel like home, perfect if you’re traveling alone, 200% recommended. Thanks for everything guys! The staff was really friendly and helpful!! 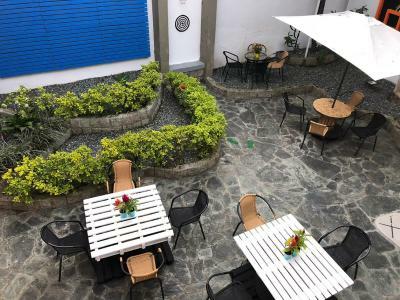 The hostel is located in a really nice neighbourhood with lots of bars and restaurants. 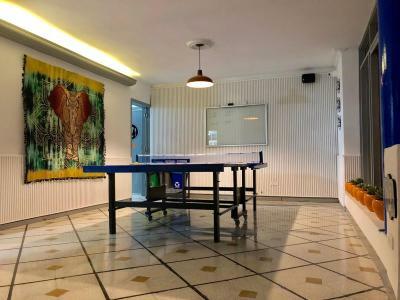 They have a nice kitchen and pingpongtable. We had the most incredible stay at Backpackers Inn! Diego, Andrea and the rest of the staff were so helpful and did everything to make us feel comfortable. Not only was the environment super relaxed but it felt like a real home, we were so sad to leave. Would stay/live there if we could. 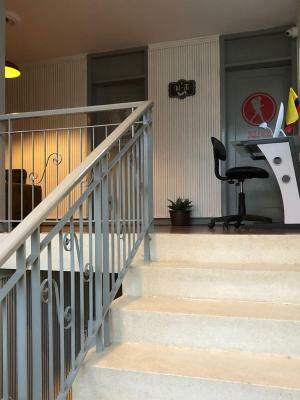 Staff very kind, good atmosphere, big common area, nice kitchen and confortable bed and room. 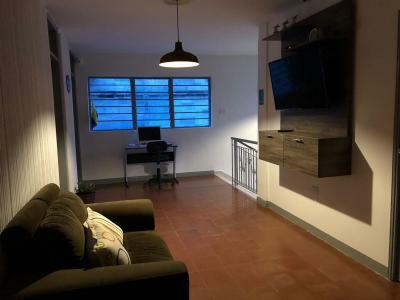 Near to market, restaurants and metro. Really recommended! The location is great! Loads of restaurants, cafes and bars around. The staff were really really nice! They were very helpful, took their time to tell us about the diff tours etc. Andrea was amazing! Wish we stayed longer! 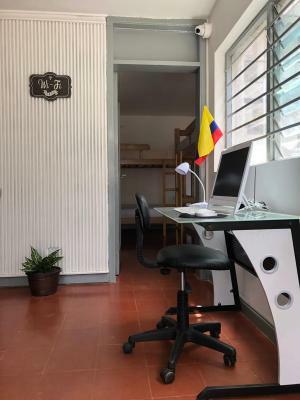 Clean hostel with great staff and good location next to a mainstreet with restaurants and a 10 minute walk to Estadio metro station. 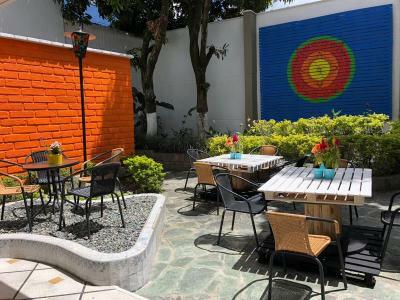 Located in Medellín, Backpackers Inn Medellín is 1.5 miles from 70 Avenue and has facilities like free bikes and garden. 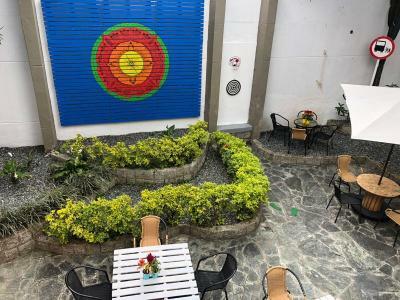 Located around 2.4 miles from Pueblito Paisa, the guesthouse with free WiFi is also 4.2 miles away from El Poblado Park. 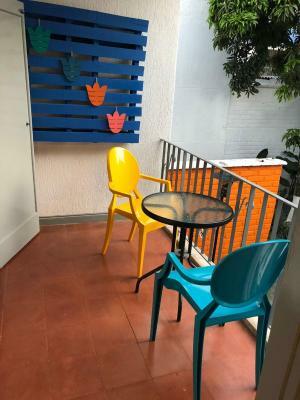 Guests can use a terrace. At the guesthouse, all rooms have a patio. The rooms include a private bathroom, while selected rooms include a kitchen with a microwave. 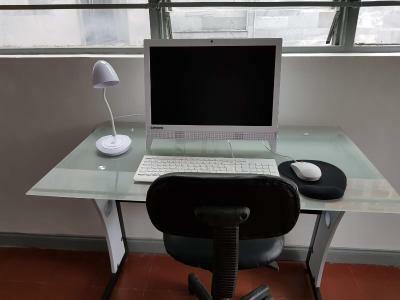 Guest rooms feature a desk. 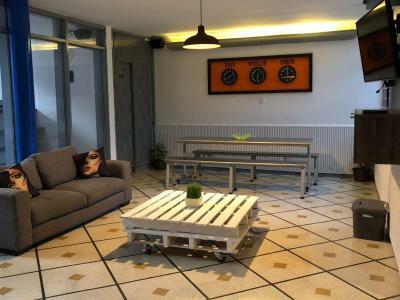 You can play ping pong and darts at Backpackers Inn Medellín. 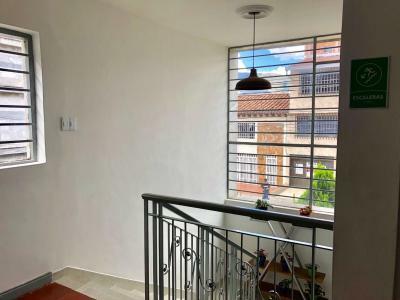 Lleras Park is 4.3 miles from the accommodation. Olaya Herrera Airport is 2.5 miles from the property. 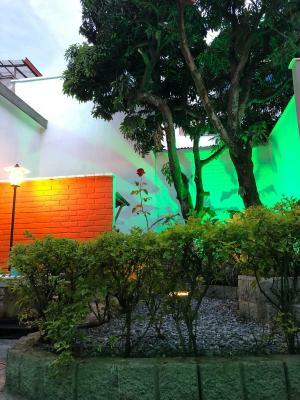 When would you like to stay at Backpackers Inn Medellín? Private parking is available on site (reservation is not possible) and costs COP 10000 per stay. 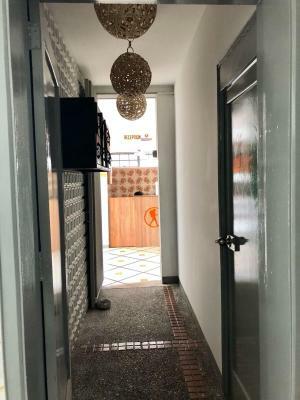 Area Info – This neighborhood is a great choice for travelers interested in ambiance, tourist attractions and walking – Check location Excellent location – show map Guests loved walking around the neighborhood! 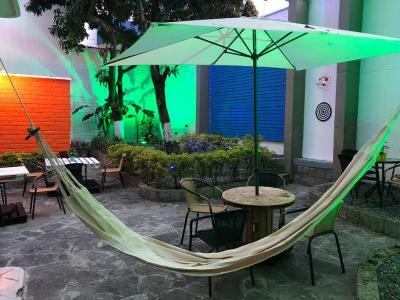 House Rules Backpackers Inn Medellín takes special requests – add in the next step! 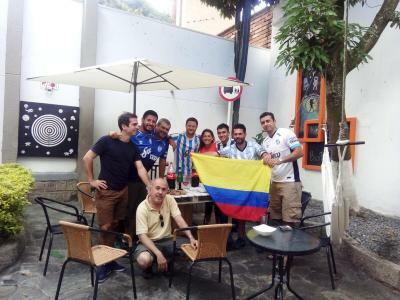 Backpackers Inn Medellín accepts these cards and reserves the right to temporarily hold an amount prior to arrival. 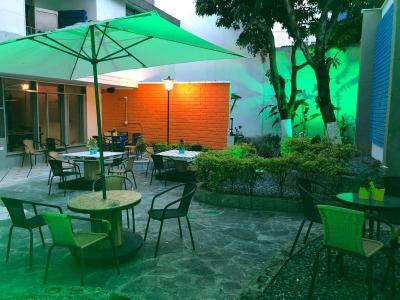 Please inform Backpackers Inn Medellín of your expected arrival time in advance. You can use the Special Requests box when booking, or contact the property directly using the contact details in your confirmation. Our 8-bed dorm was a bit on the small side (there also is a bigger 8-bed dorm though). The room was a little small for three beds - it would be better if one was a twin size. The flooring/carpet was odd. More hooks to hang clothes would be helpful. Bathroom - Consider providing a hand towel for at the sink. There is no problem with paying for a bath towel and the price was reasonable. The shower head was broken. The room itself was very uncomfortable. The bed had hairs all over it when we checked in. The windows were missing the glass so it was loud and very bright in the mornings. The bathroom says private but it is actually across the hall from your room near the dorms so it is not private at all. The dorms can hear everything going on in there. We booked a private room with attached private bathroom. It was not the cleanest. The sheets had hair and dust on them. We ended up using only one out of the two beds. There was previously used leftover soap in the bathroom, which was all smudged up in the soap holder bit. Apart from that, all was good. A shower in the bathroom was a bit uncontrollable, but its a minor thing. Hostel is quite small so noise travels across the whole place. The twin room is in the middle of the common area, kitchen and front door so is quite loud. No windows, hangers or shelves to put anything on in the twin room. There were only a few things that I didn't like. The showers were hot, but the force of the water was weak. There were no windows in the room and there was minimal light in the bathroom. There also was some noise at night from the hostel and the outside environment. 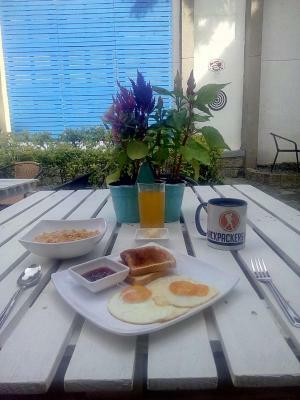 I greatly enjoyed my stay at Backpackers Inn! The staff was friendly and helpful. The room was big and clean. 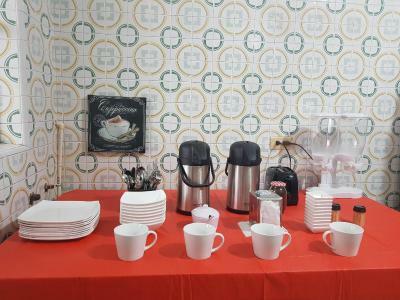 The kitchen and lounge area were stocked. There were lots of things to do at and around the place. The other people that were staying there were mostly professionals and not young students as expected at a hostel so they were respectful and mostly quiet. Really nice place to stay. Helpful staff. Decent kitchen. 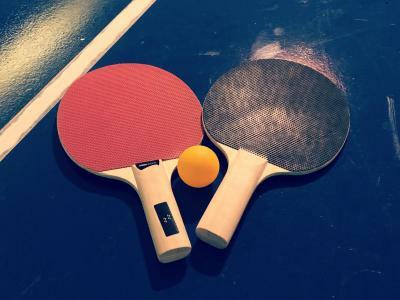 Plus ping pong! I liked the location very much, but you have to now that it is not located in the typical backpacker area. Doorbell at night was a bit noisy but nothing major. Excellent location and really helpful staff. Would definitely go there again.